2015 “Adopt a Coral” Project Extends its Outreach through FEED | FEED, Inc.
19 October 2015, Nasugbu, Batangas, Philippines. 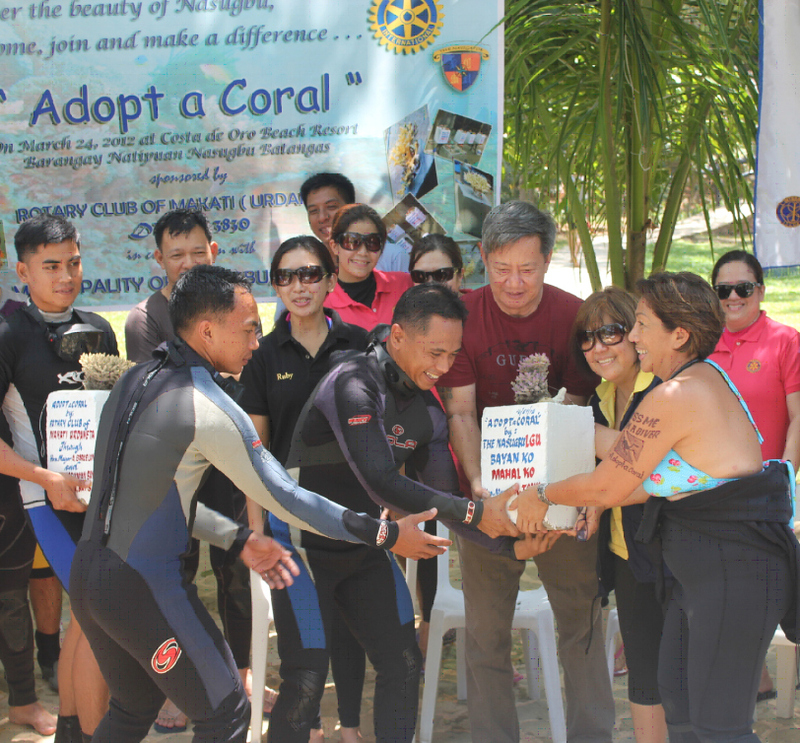 Triggered by the 2012 “Adopt a Coral” project launched by the Rotary Club of Makati Urdaneta, the project is an ambitious artificial reefs project to restore corals and the marine environments in Nasugbu, Batangas Province. Authored by PE Captain Joyce Hufton, “Adopt a Coral” was introduced to FEED by Ms. Hufton to extend its outreach by engaging Students & Volunteers for the Environment (SAVE) – a Living Legacy program of FEED. The Coral Reef Garden aims to protect and enhance marine life in the lake, which will eventually, over a period of one year, form a giant coral reef made up of coral blocks made from cement housing corals native to Philippine seas. The Rotary Coral Reel Garden has 200 blocks, which “Adopt a Coral” aims to double every year. Nearly all of the ecologically-fragile coralreefs in the Philippines are under severe threat from economic development and climate change. This is according to an update circulated by the Southeast Asian Centre of Excellence (SEA CoE). 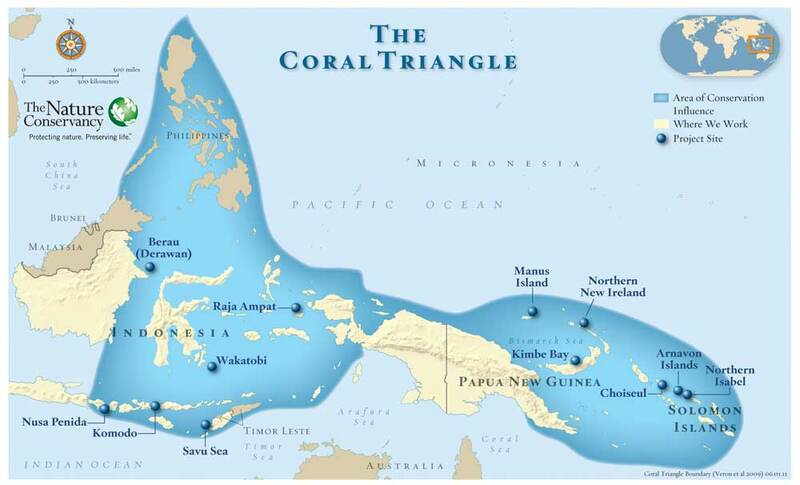 The Philippines is part of the so-called “coral triangle,” which spans eastern Indonesia, parts of Malaysia, Papua New Guinea, Timor Leste and the Solomon Islands. It covers an area that is equivalent to half of theentire United States. Although there are 1,000 marine protected areas (MPAs) within the country, only 20 percent are functioning, the update said. MPAs are carefully selected areas where human development an d exploitation of naturalresources are regulated to protect species and habitats. In the Philippines, coral reefs are important economic assets,contributing more than US$1 billion annually to the economy. “Many local, coastal communities do not understand or know what a coralreef actually is, how its ecosystem interacts with them, and why it is so important for their villages to preserve and conserve it,” SEA CoE said in a statement. Unknowingly, coral reefs – touted to be the tropical rainforest of the sea – attract a diverse array of organisms in the ocean. They provide a source of food and shelter for a large variety of species including fish, shellfish, fungi, sponges, sea anemones, sea urchins, turtles and snails. A single reef can support as many as 3,000 species of marine life. Asfishing grounds, they are thought to be 10 to 100 times as productive per unit area as the open sea. In the Philippines, an estimated 10-15 per cent of the total fisheries come from coral reefs. Not only coral reefs serve as home to marine fish species, they also supply compounds for medicines. The Aids drug AZT is based on chemicals extracted from a reef sponge while more than half of all new cancer drug research focuses on marine organisms. In the Philippines, coral reefs have been slowly dying over the past 30 years. Unfortunately, these beautiful coral reefs are now at serious risk from degradation. According to scientists, 70 percent of the world’s coral reefs may be lost by 2050.